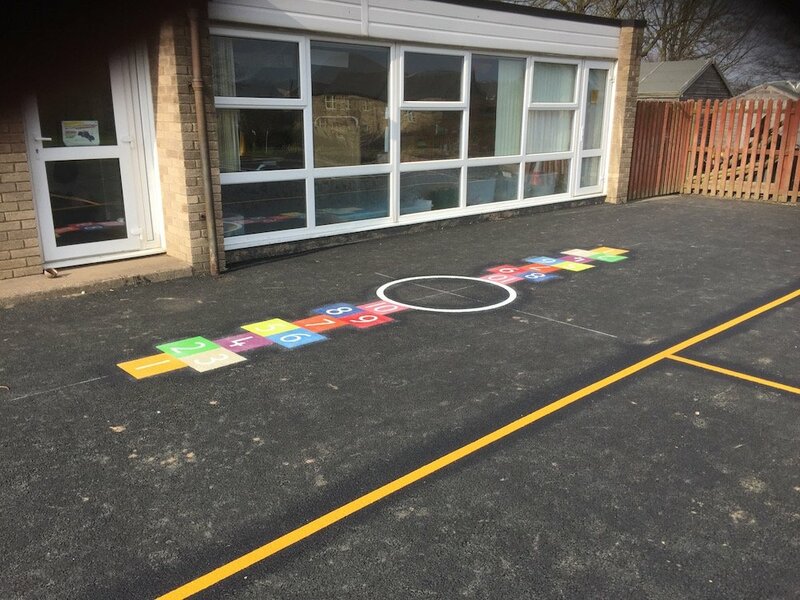 Our Installation team travelled up to the historic town of Warkworth, Northumberland to install a range of bright new playground markings at the local Primary School. 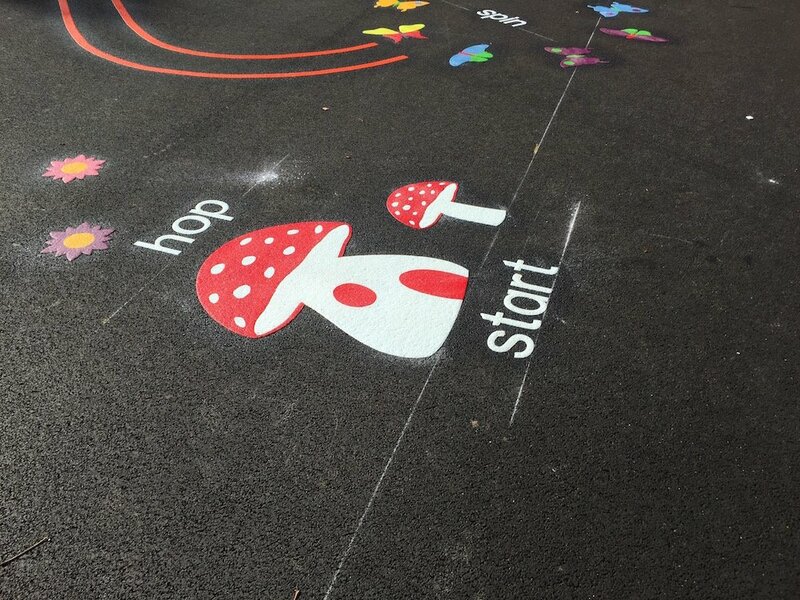 The first4playgrounds installation team have completed another range of new Playground Markings at the local Primary School in the historic town of Warkworth. 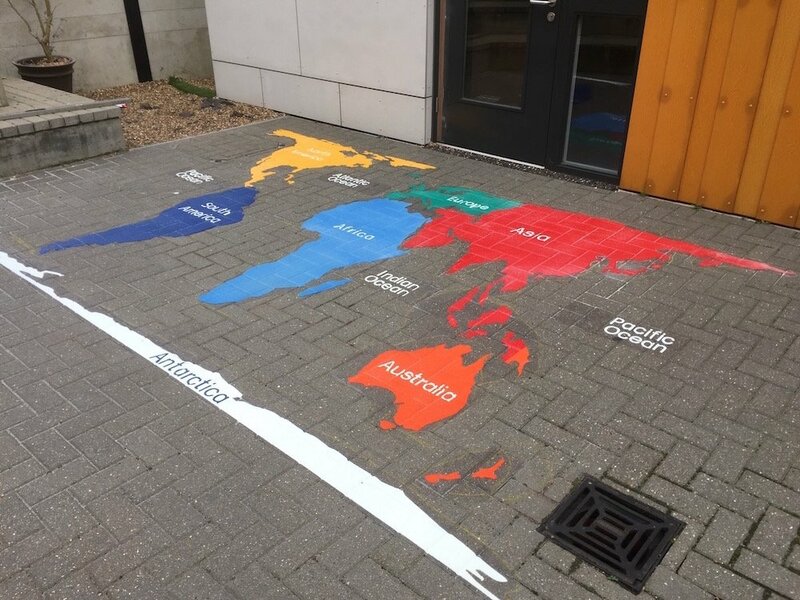 Firstly the team installed this Mirror me. 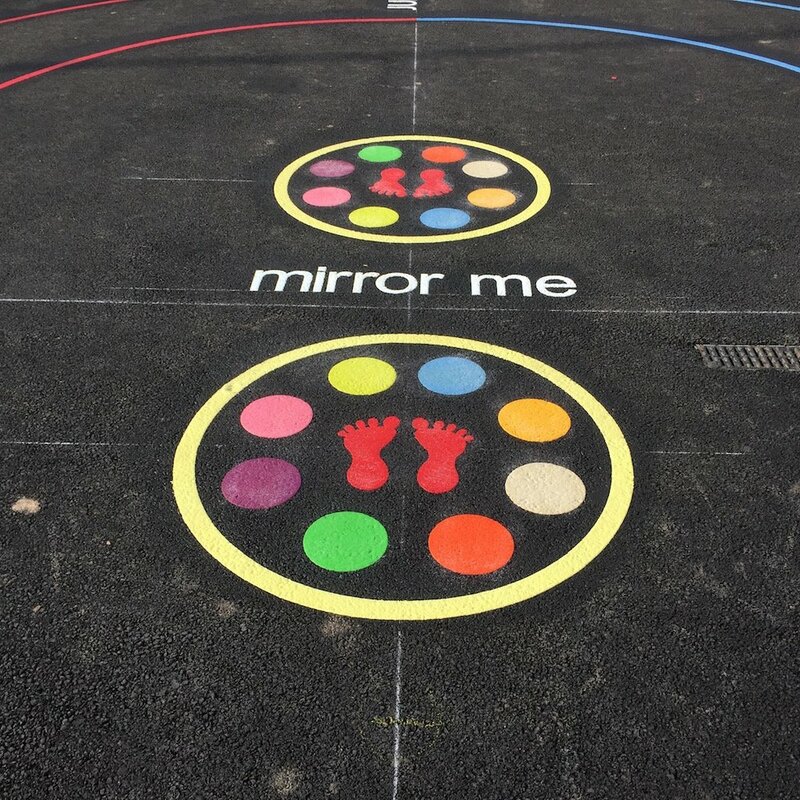 The Mirror me is a fun game and is great for getting young children active, it also looks great and really brightens up the Play Area. 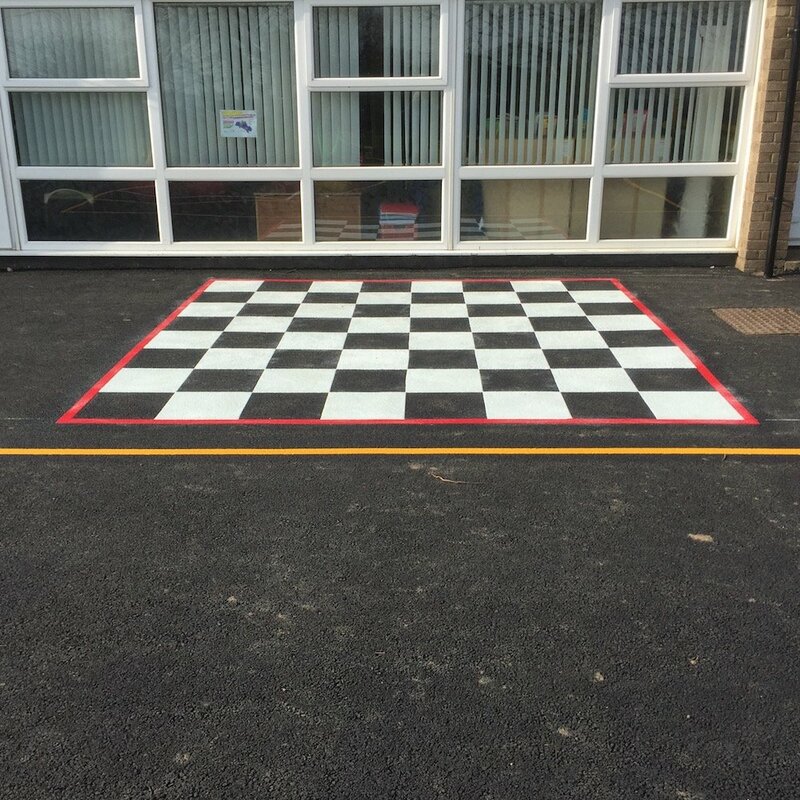 Next we installed this Chessboard. 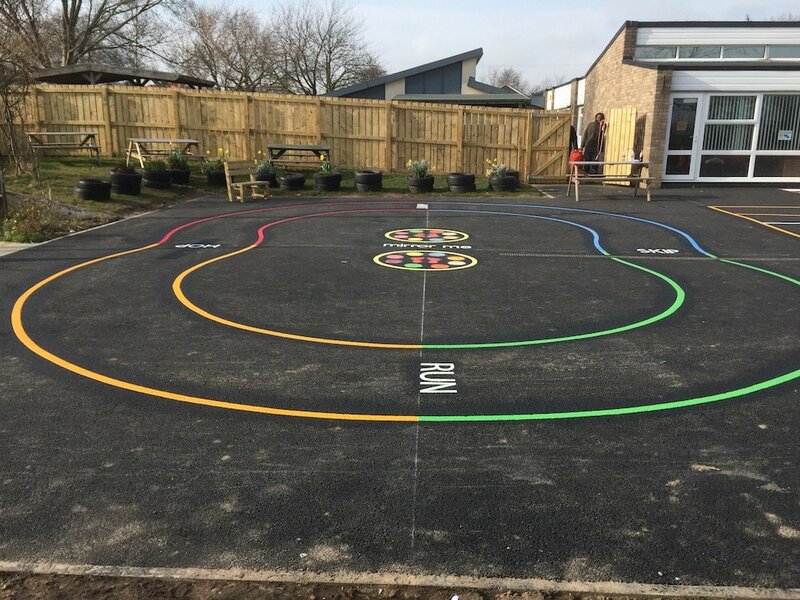 The Chessboard can also be supplied with a set of 42cm to 60cm high Chess pieces with the base diameter of 22cm. 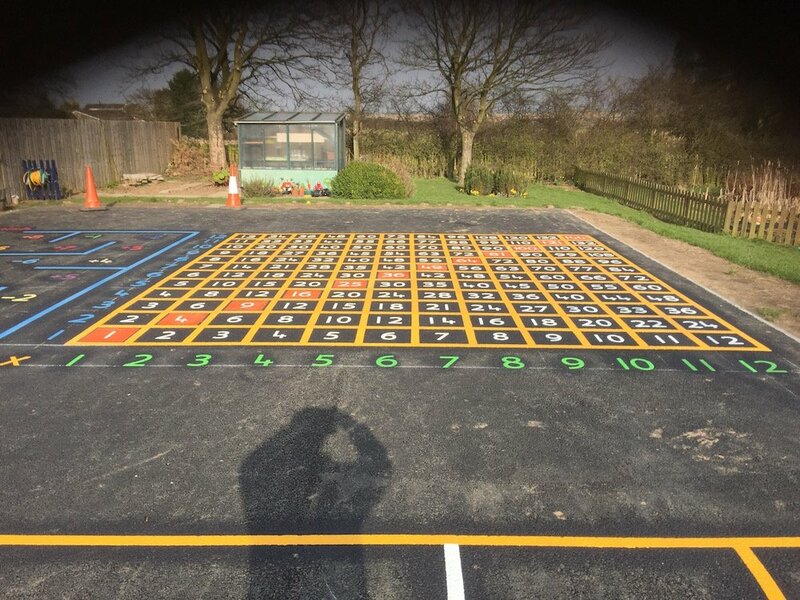 Ideal with the playground chessboard 300 or 400. 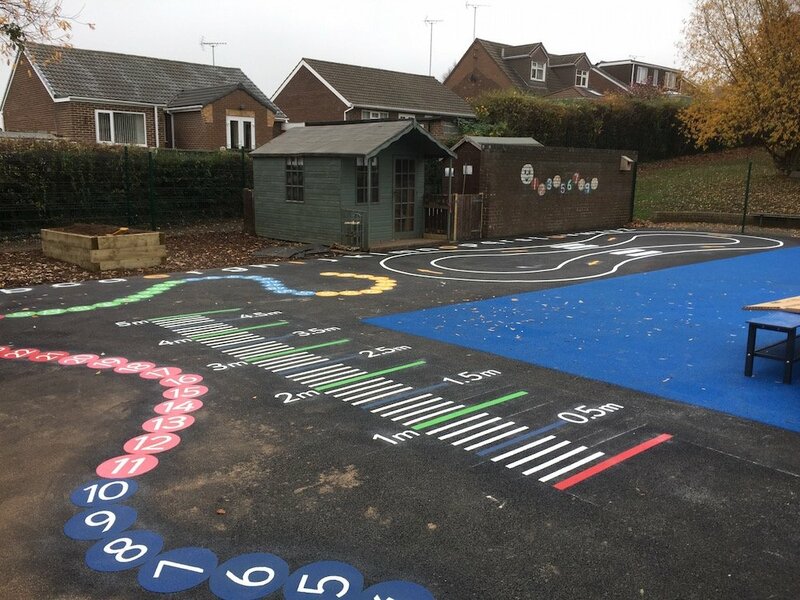 These pieces are filled with sand or water to give the chess pieces weight tailored to your own specification. 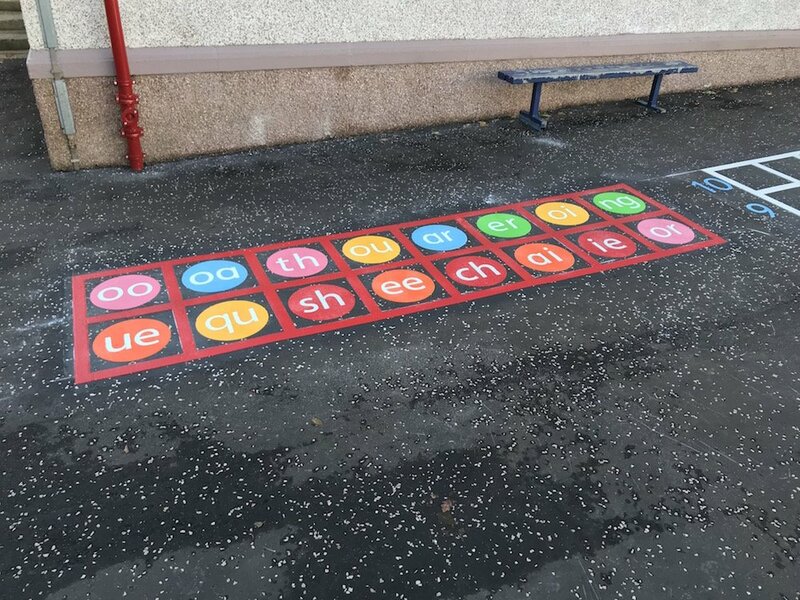 Next the team installed this 2 way hopscotch. 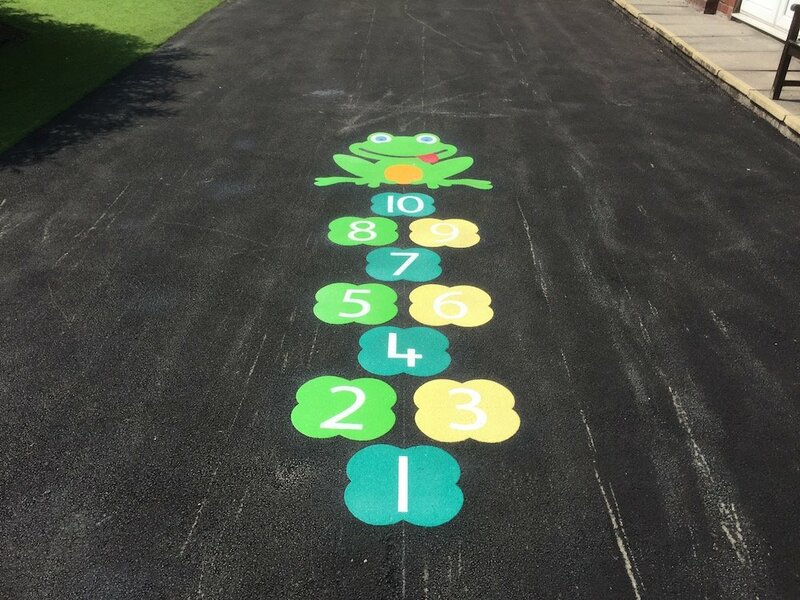 The 2 Way Hopscotch is one of the children favourite games and it looks great on any play area. 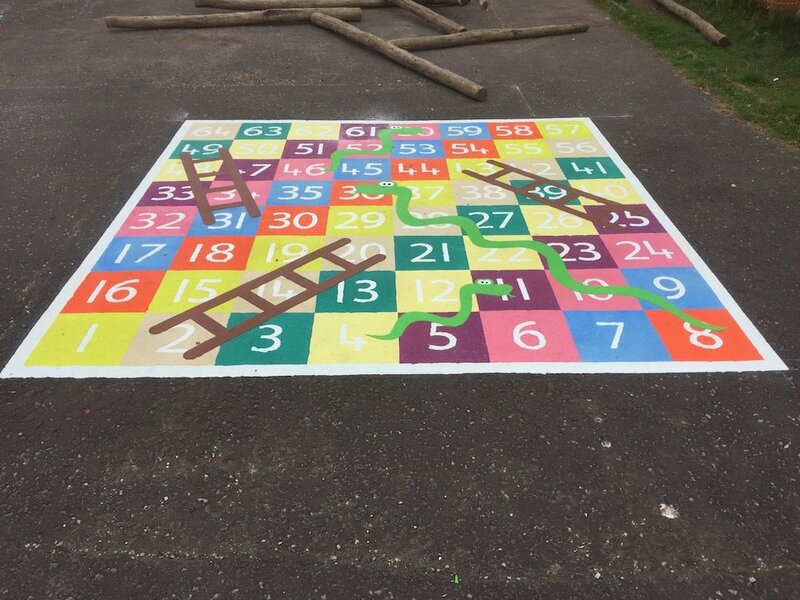 Then the team installed this 12 Times Table Grid. 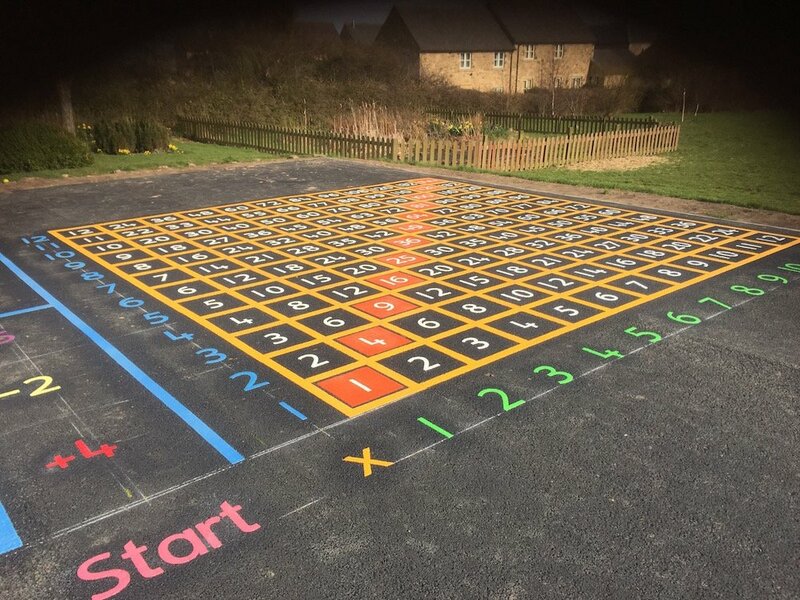 The 12 Times Table Grid is a great teaching aid for teaching KS3 Primary School children times tables and how to properly understand Co-Ordintates. 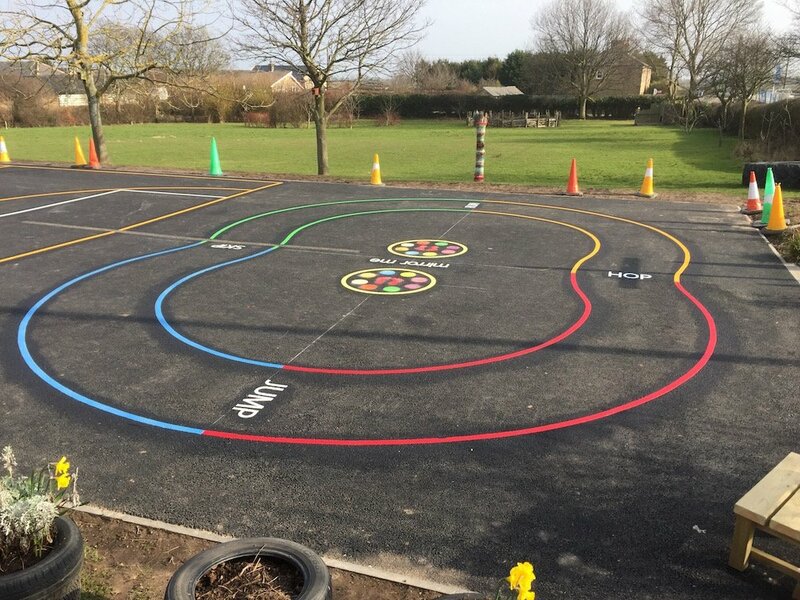 Lastly the team installed this Circuit Training Track. 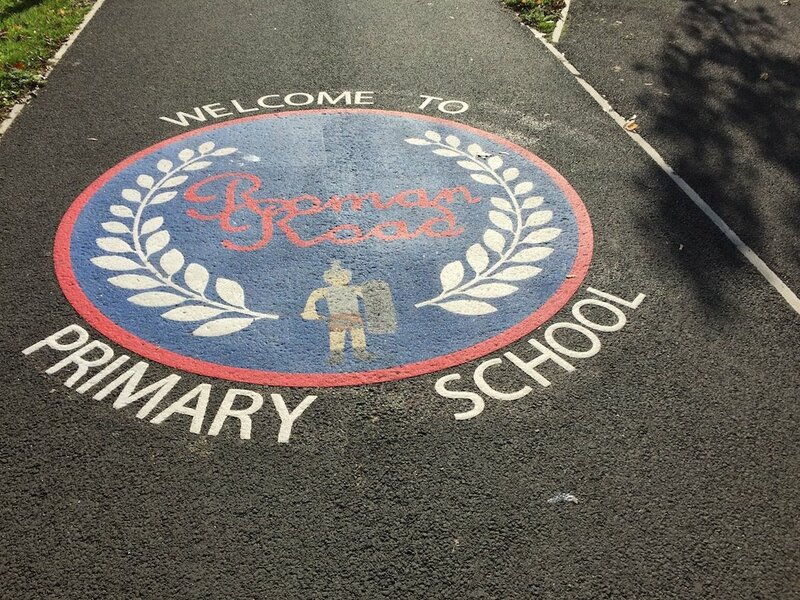 This is a great marking for keeping children active. 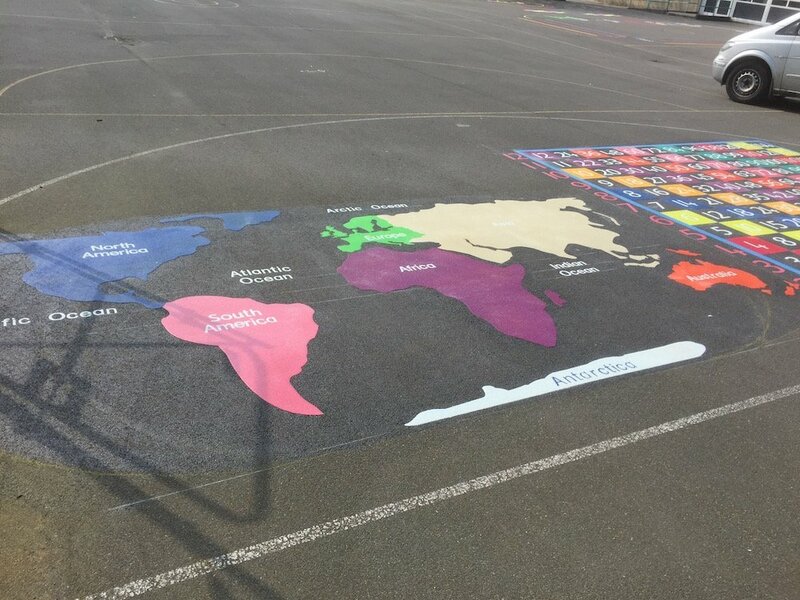 It is also a great tool for P.E teachers.